Make an entrance in this beautiful Ellie Wilde dress EW119119. This lovely gown has an off the shoulder neckline which is supported by thick straps that have a bow tie closure on the shoulders. The crepe bodice has a beaded belt at the waistline, which perfectly defines the waistline before flaring out into a flattering A-line skirt. 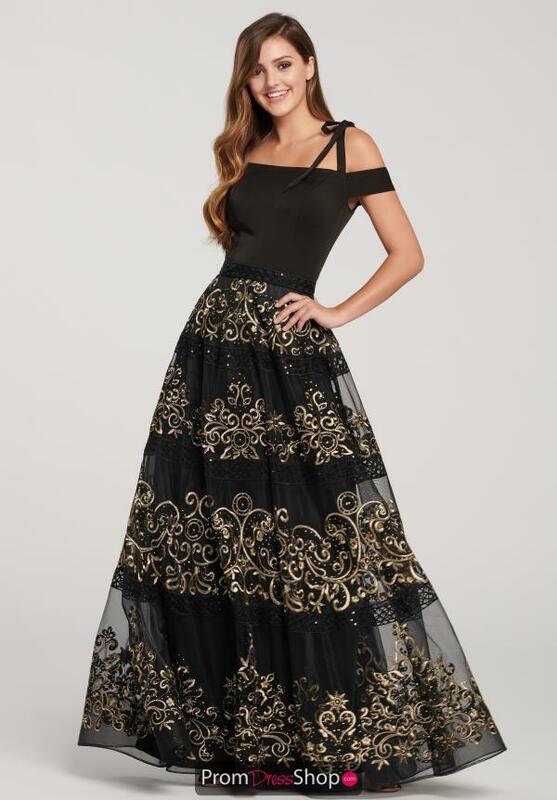 The organza skirt is adorned with ornate applique that gives this dress a royal feel.